Emmeline Pankhurst was born on 14 July 1858 in Moss Side, Manchester. Her family were very wealthy and her parents were both politically active. As she grew older, Emmeline noticed that women were treated differently to men and became motivated to help change that. In 1903 she, along with her daughters Sylvia and Christabel, founded the Women's Social and Political Union (WSPU). Emmeline Pankhurst is remembered for her hard work with the WSPU in the fight to help get British women the right to vote. The WSPU was a group led by Emmeline Pankhurst. 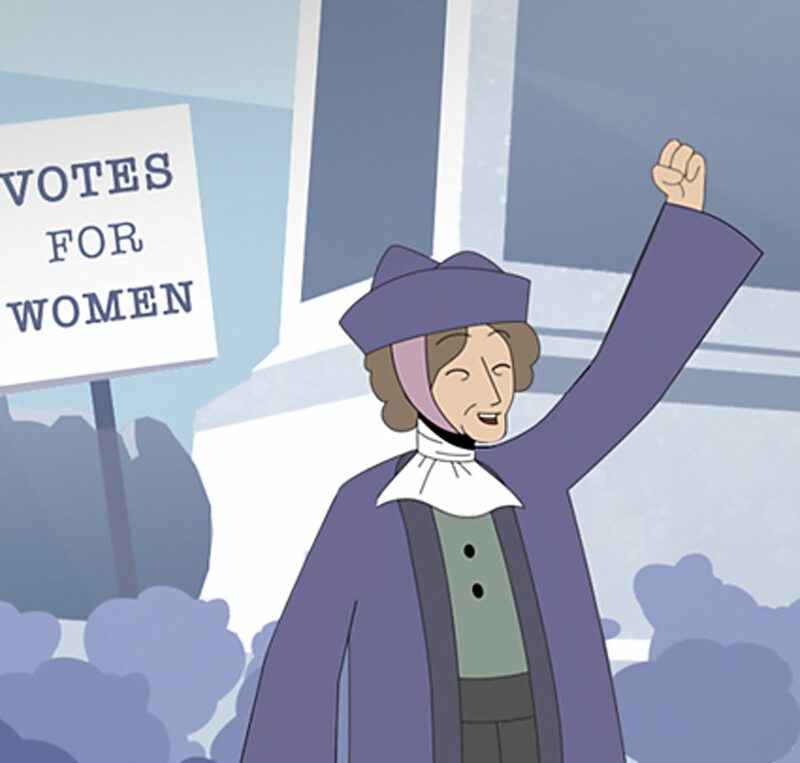 Their aim was to gain equal voting rights for women. Emmeline gave speeches encouraging women to take action in order to achieve this goal. The WSPU, at the time, became known as a 'radical party', which means they used extreme methods in order to get their message heard. Because these methods were sometimes violent, WSPU members became the first women labelled as 'suffragettes'. Members were known to smash windows, damage public property and even start fires. This got many women in trouble with the police and some even sentenced to time in prison, where they were treated very badly. When the stories of bad treatment reached the newspapers, it actually helped to increase support for the suffragette movement. In 1914 the First World War began. 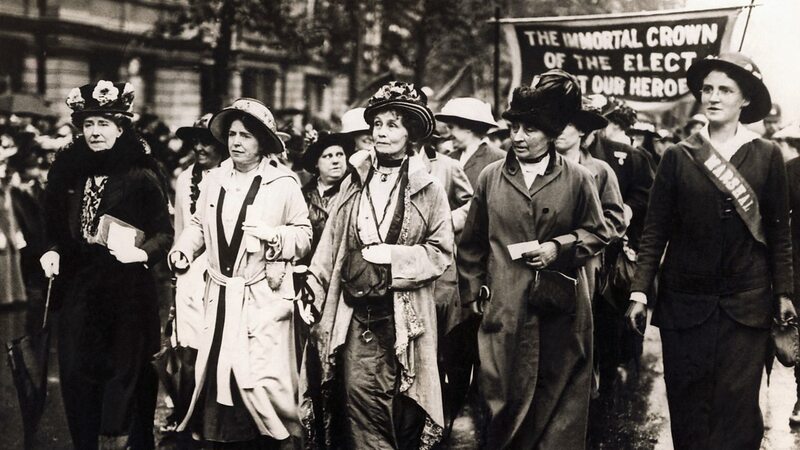 Emmeline Pankhurst encouraged WSPU members to put their demonstrations on hold, in order to focus on the war effort. Emmeline asked women to take up roles in factories in support of the men fighting. In response, the government released all WSPU prisoners. When the war ended in 1918, the Representation of the People Act was introduced, giving women over the age of 30 who owned property, the right to vote. 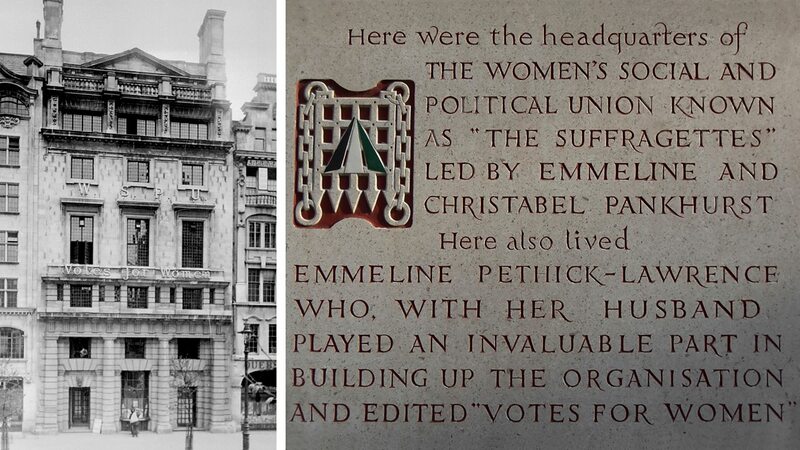 Although Emmeline lived to see some women gain the right to vote, she died on 14 June 1928, just a few weeks before a law was passed giving all women over 21 years of age the right to vote. 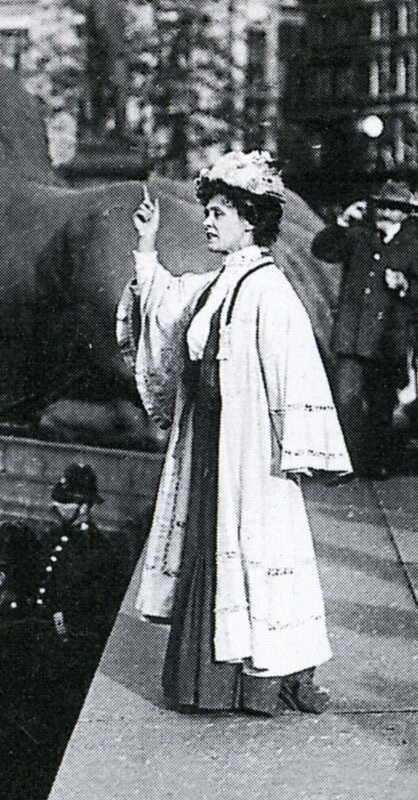 Emmeline Pankhurst addressing a crowd of 60,000 people in Trafalgar Square. 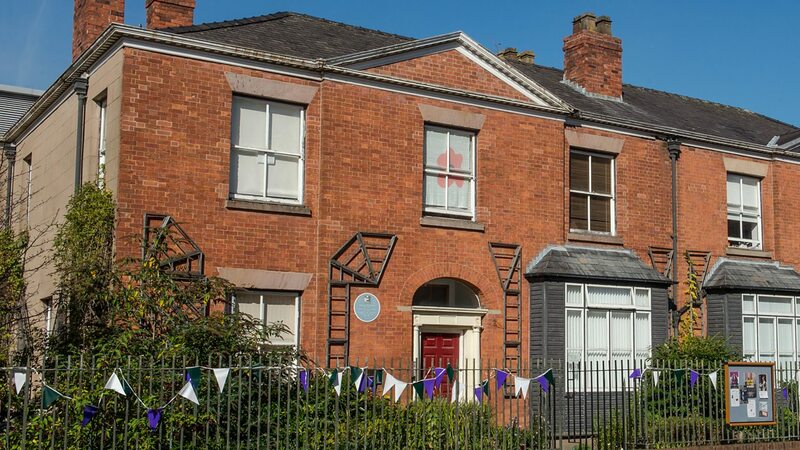 This is the house where Emmeline Pankhurst once lived in Manchester, England. Today it is a museum dedicated to Emmeline Pankhurst and the suffragette movement. Here, on the left, we see the former headquarters of the WSPU, located in London, England. Although the building is no longer occupied by the WSPU, a sign (pictured on the right) remains on display stating the history associated with the building. 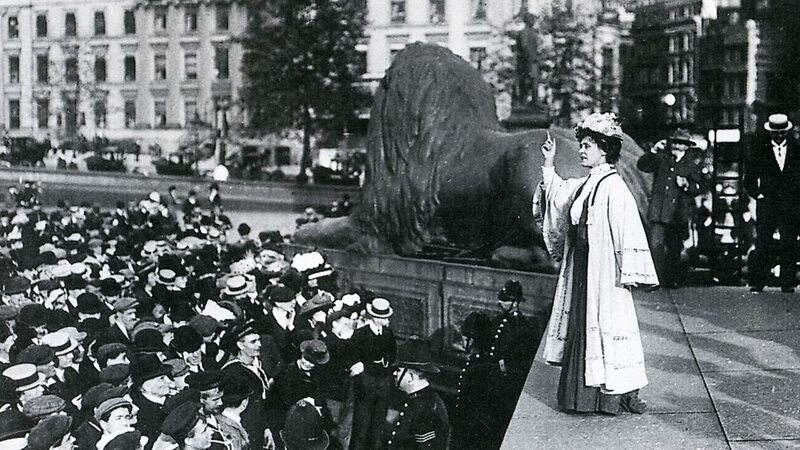 In October 1908 over 60,000 people gathered in Trafalgar Square to hear Emmeline deliver a speech. 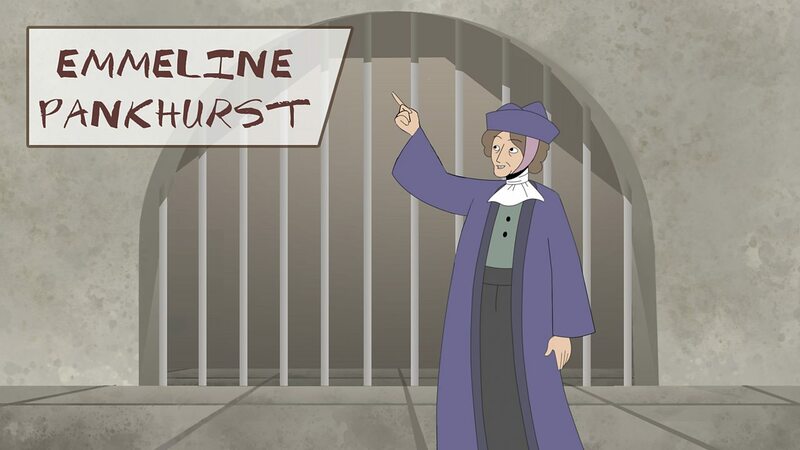 Shortly after this speech Emmeline and her daughter, Christabel, were arrested alongside Flora Drummond for inciting a rush on the House of Commons. Over the course of her life Emmeline was arrested on numerous occasions and even spent time in prison. In the above image we see her being arrested in Victoria Street, London. 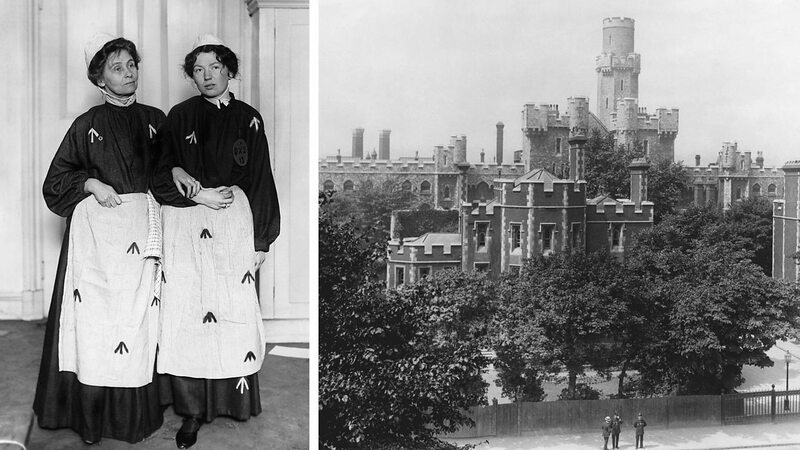 The following day she was sentenced to six weeks in Holloway prison. To highlight the cruel treatment women experienced in prison, the WSPU often posed in prison uniforms to raise awareness, and funds, for the campaign. The WSPU created medals, banners and certificates which they handed out to those who were arrested. This image shows Emmeline about to depart on a speaking tour of America. With her, we see two of her daughters, Christabel (middle) and Sylvia (right). 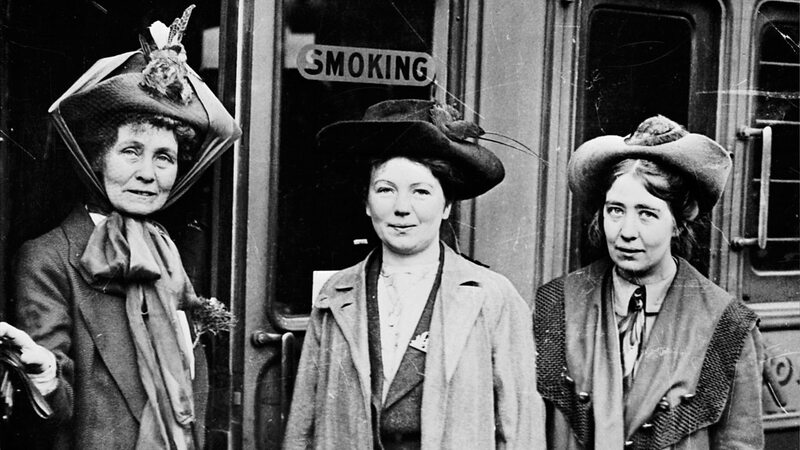 The suffragettes put their fight on hold during World War One. Pankhurst took part in many public rallies to encourage women to contribute to the war effort. Here we see her marching with Annie Kenney, demanding women's right to work during the war. 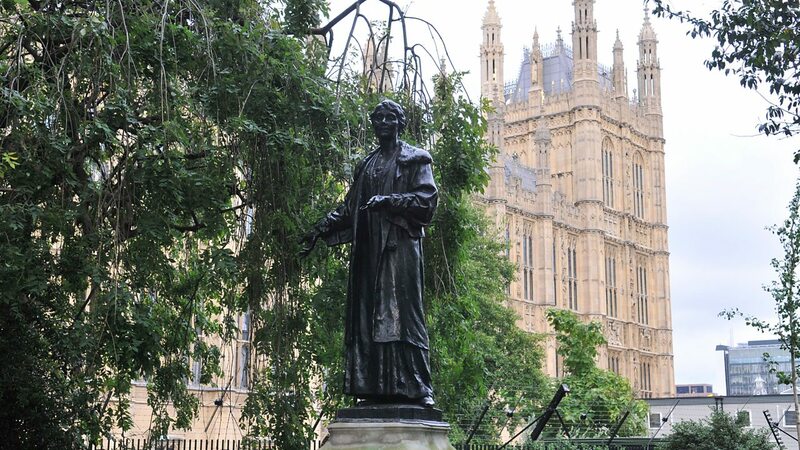 Emmeline Pankhurst is remembered as one of many women who fought hard to help women gain the right to vote. Shortly after her death in 1928 a memorial fund was set up resulting in a statue of her being placed in Victoria Tower Gardens, London. What weapons and technology were used during WW1?